It feels really good to get things off my chest. What would I do if I didn't have this space? Walk around announcing these random things to people? Either way...I'm thankful that you all show up and listen. I confess that I'm secretly starting to freak out about our wedding plans. We need a DJ and I need a dress. If one more person tells me I should have these things by now I may have a meltdown. On that note...I'm not looking forward to dress shopping. At all. I'm not comfortable with my weight and am kind of dreading seeing myself in a dress with a body I don't love. I ate a cosmic brownie last night. It's not helping the above situation, but damn are they good. I have been reading a lot more blogs each night and am really loving getting to know people more. As if us bloggers didn't already know, this community is truly awesome. I participate in some link-ups regularly and really enjoy it. Anyone have particular link-ups they love taking part in that I can check out? I have started my day with Starbucks about 5 days in a row. I can't stop. I need it. That, or I need more K-Cups and can stop draining my bank account. I am giggling at the mental picture of walking around announcing random thoughts to people! 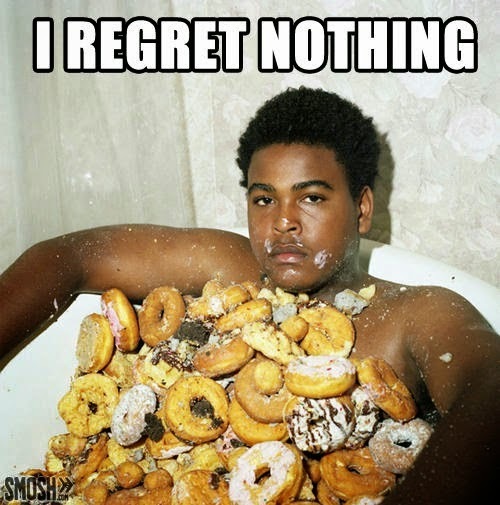 One of the many reasons I love blogging, I can just get it all out and be weird and my blogging buddies don't judge me! :) I always link up with Biana on Mondays for Weekend Recap and Amanda for Friday Favorites! I too have a Starbucks addiction, it's bad. I am so with you with a Tinder for bloggers!!!!! 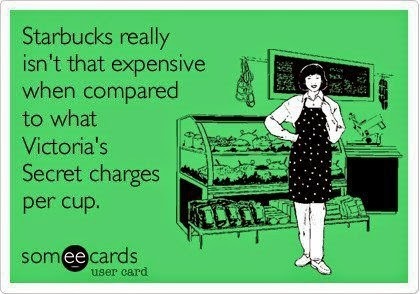 Love the Starbucks vs Victoria's Secret ecard! I hope you decide to go dress shopping soon. There are dresses out there that can compliment any kind of body shape. 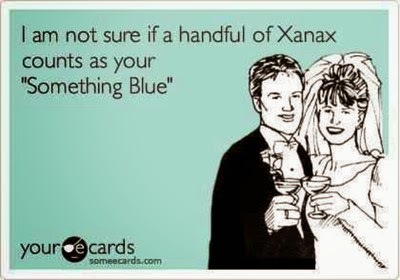 I have never seen that ecard so it for sure made me laugh! Thanks so much Emily...I appreciate it. I have an appointment the beginning of next month for dresses, so I hope it all goes well! Thanks for the suggestions Julia, I will check those out! thank goodness for the blog world :) xo! yes yes yes, right?! too funny! I love a French Toast one I get...I need to fall in love with my Keurig again ;) thanks for the suggestions girlfriend! I wish K Cup packs would come with a variety pack because I find it hard to finish an entire box after I'm over the same flavor! Right now I have pumpkin spice and vanilla creme brulee and I'm bored of them LOL. Tinder for bloggers would be hilarious!! I have a weakness for cosmic brownies when I see them at someone's house but I purposely don't buy them because I would eat them every day LOL. Best wishes on the wedding planning!! When I do mine in the future I'll just hire someone to have them do it all because I don't want to deal with any of it. Surprise me!! LOL. :) You totally made me smile this morning love your post! Eat the dang cosmic brownie!!!! I love this post so much - it's so honest and still funny at the same time! Also, all the E cards are perfection - they fit so well (and also always make me laugh). Hang in there with wedding planning - I can't imagine how stressful it can be, but try to just enjoy every second of it - you WILL get it all done and it'll be amazing! And you'll look gorgeous in your dress. Don't worry. You will find everything in time. I promise. I didn't find my dress until about 2 months before my wedding. Alterations were literally done on the Thursday before me wedding. It makes things a little more hectic, but it will happen. Just smile and nod with the one's who like to make comments. Just know you got this. Kristin, that is SO incredibly sweet of you. Thank you for your kind words of encouragement. XO! Thank you for reading Allison! I am enjoying most of the planning, although I completely understand now why people elope...HAHA! You are so sweet and I truly thank you for all your sweet comments. Don't every be sorry for novel comments, they are so kind!